OPEN SUN 1/27 from 2-5pm! 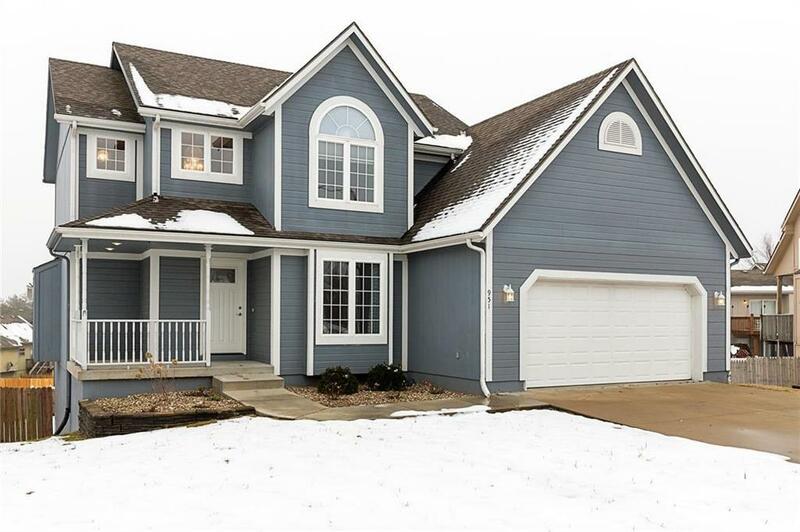 ADORABLE 2-Story READY for you to MOVE RIGHT IN! Gleaming hardwoods, newer carpet & interior paint! RENOVATED kitchen complete w/granite counters, tile backsplash, undermount sink & stainless steel appliances! All appliances stay--fridge, washer and dryer! Lovely OPEN concept boasts dining room & convenient main floor 1/2 bath! HUGE master suite w/ walk-in closet, coffered ceiling & newly renovated master shower! Large basement walks out to oversized, fenced yard! Don't Miss! Directions: From Adams Dairy Road, East on Duncan to NW Rosewood Dr, Right on NW Birch Court to YOUR NEW HOME on Right!